Bennigan’s and United Way Team Up to Benefit Local Charities! WHAT: Bennigan’s is “living united” by supporting the United Way’s annual fundraising campaign to meet the needs of the greater Lansing community. (On North side of M-43 2085 W. Grand River Ave. DETAILS: The United Way is making it easy and appetizing for Lansing residents to give back to their community. 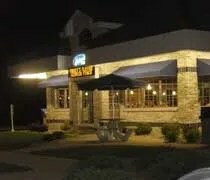 The Capital Area United Way will be hosting a fundraising event at two local Bennigan’s Grill and Tavern locations on Thursday, October 9th from 11:00 a.m. until close. Diners need only to present an event flyer, available at http://www.capitalareaunitedway.org, to their server and Bennigan’s will donate a percentage of the bill to the Capital Area United Way. The event will feature special guest hosts and bartenders. A portion of each bill, including dine-in, to-go, curbside and party platter orders, will go to the Capital Area United Way’s Community Investment Fund. Donations will help support emergency assistance, youth development, job retention, and a variety of other critical services in the greater Lansing area.